We all love to save money. Who doesn’t enjoy keeping more cash in their pocket after a trip to the supermarket or the department store? Everyone seems to have their own little secret for conserving pennies at the checkout line when it comes to getting those everyday household essentials. The price of everything just keeps rising and it’s getting tougher than ever to find the best deals on the things we need the most. It’s not just groceries, either. Have you seen what toilet paper or laundry detergent costs these days? Stretching your dollar is becoming a harder trick to pull off each time you hit the store and fill up your shopping cart. We stand there as we see that amount increase on the cash register and most of us just feel powerless to do anything about it. But it doesn’t have to be that way. You do have the power to fight back, it just takes a little ingenuity and some strategic planning before you hit the store shelves. We’re here to help you save on these everyday items. We have fifteen smart ideas to saving some money on those household essentials that you and your family depend on week in, week out. You’ve likely figured out a few of these already while some others may be new ideas that you hadn’t thought of yet or weren’t aware existed. Each one will give you an advantage the next time you head out to stock up your home with the necessities. So grab your shopping list and your recyclable bags and get ready to save some serious coin on the stuff you need the most. You may just be amazed at how much you end up saving. This one is a no-brainer that most people have already figured out, which explains the popularity of stores like Costco and Sam’s Club. In fact, buying in bulk has become so popular as a money-saving method that even the large supermarket chains are offering products in larger sizes now. These super-sized portions of your favorite products are usually a better deal when priced per unit. Best of all, you won’t need to rush back out to the store to restock on those items again anytime soon. You just need to find some space in your pantry, closet, garage, or refrigerator to store your bulk supply. You’ll save some extra green by not having to put that item on your shopping list anytime soon, not to mention the money you saved on buying more of that item in bulk. That’s the appeal of warehouse stores. They knock some cents off the price per unit when you buy more of them at one time. When you buy all of your essentials in bulk those pennies start to add up. Don’t laugh – the dollar stores are an untapped resource for savings. Now, granted, you’re not going to find everything you want or need at the dollar store so you’re going to need to get creative about it. Dollar stores are best for things like household cleaners, laundry detergent, fabric softener, paper towels, juice, even some snacks and soft drinks. Most importantly, you can even save on name brands that you actually recognize and buy on a regular basis. That used to be the biggest complaint of most consumers: Dollar stores would carry brands and items that no one had ever heard of. But those days have passed. The reputation of the dollar store has improved drastically and more folks are gravitating towards shopping there because of the great deals they can find on the things that they usually buy at the big supermarkets — only they pay less for those items now. You will be surprised at how many items you can literally find for a dollar at the dollar store! Every major supermarket chain has their own brand of nationally known household items. Guess what, in almost every case, that version of an item is just as good as the leading national brand, and you can save a good chunk of change buying the market brand instead. Here’s the best part, you can find generic versions of almost everything as you roam the aisles of your grocery or department store. Whether you’re buying vitamins or shaving cream or paper towels, the generic supermarket variant is going to do just as good a job as the fancy name brand that comes with the higher costs. In fact, most stores will even put a label saying “Compare to” the national name brand of that item and you’ll easily locate the generic next to the recognizable brands. Anytime you buy generic, just be sure you do what the label says and compare the ingredients. You may be astounded to realize that they are identical, particularly with respect to the “active” ingredients that are inherent to the product itself. Mouthwash, toothpaste, deodorant, all contain specific elements that we want when we purchase those items. You’ll find them in the name brands and the generics in equal amounts and save money in the process. Where you shop can also help you save. It’s true. However, this tip requires you to do a little homework first. You probably have a variety of stores in your area that you shop most frequently. Those probably include a Target or Walmart (perhaps both) and of course, you have a major chain supermarket or two that you visit on a regular basis. But do you compare which ones have the best prices? Well you may want to start. Every store has a weekly circular, either print or online, that features their sale prices for the week. If you start to compare them against each other, you can plan your shopping accordingly and hit the stores that have the better prices on the items you need to buy that week. If you’ve run out of diapers or potato chips, look up to see which stores are having a sale on those products. You may need to make more than one stop to get the best deals, but if these stores are located close to each other you won’t have to spend too much on gas. If not, then just strategically plan your shopping trips to the various stores you need to visit so you can enjoy the greatest savings. 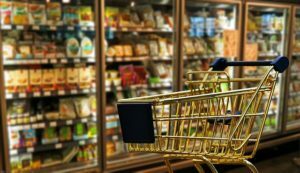 Every supermarket has them: the clearance racks for deeply discounted items that are nearing their sell by or expiration dates and store managers need to get that inventory out the door. Grocery stores will put all of these products on clearance and group them together by department. You can find clearance racks for everything from meat to bakery items to toiletries. They are usually easy to locate with signs pointing you towards the marked down products. Perusing these racks can be a convenient way to save on the things you want. But try not to buy something merely because it’s been marked down 60 or 70% – you won’t be saving any money if the food goes to waste once you bring it home. Look around you right now. How many items do you see that require batteries to operate? Chances are you see a whole bunch of them. Toys, remote controls, lamps, alarm clocks; there is a whole range of battery operated items in your home or office. We all know batteries aren’t cheap and having to buy them over and over again can put a real dent in your budget. You can avoid spending an arm and a leg to operate your small electrical products by purchasing rechargeable versions instead. With rechargeable batteries you pay one upfront cost and that’s it. When your batteries run out of juice, instead of buying new ones to replace the dead cells, you simply plug the rechargeables into their charger. Before long they’re back to full power and ready for use in the items you use most. Coupons aren’t a new concept; they’ve been around for decades providing consumers with a way to save some money on the things they buy the most. Combine enough of them at the checkout line and you can really see some serious savings once the tally is finished. Now, the word “coupon” has become a verb these days. The truly dedicated savers among us practice extreme couponing, which takes the art of saving to a whole new level. These folks seek out coupons from a range of resources including weekly circulars, store websites, social media channels for name brands. There are even entire websites that offer thousands of coupons a week on hundreds of different items. The trick is knowing when to use them and how to stack them together to get the deepest discounts on products at the checkout line. There’s an art to extreme couponing and you can learn all about it here. This step by step guide will tell you everything you need to know about diving into the world of couponing. There’s an old saying: “Never pay retail.” You may think that only applies to big ticket items like expensive electronics and designer clothes but you may find that not paying retail can also apply to the household items you use on a daily basis. If you’re a savvy shopper with a keen eye for discounts, well keep that eye open when you’re at the supermarket next time. If you spot an item that is nearing its sell by or expiration date, and it’s NOT on the clearance rack, then bring it to a manager’s attention. Tell him or her that you want to buy the item but want the price tag lowered. They will likely agree to your terms because they will want that inventory moved out of the store before it expires. The manager may also feel embarrassed that the store inventory doesn’t have the freshest products on the shelves and that’s a bad look for the store. You can tell him or her that it’ll be your little secret. With increasing frequency, consumers are doing their shopping online these days. Even the major department stores have online sites where consumers can buy products from the comfort of their couch. Buying items online has become the most popular method of shopping for the things we need and want most. It’s also a terrific way to save money. Whether you need stamps or you just need to stock up on the things you’ve used up, looking online is a smart option for savings. Amazon usually has lower prices on the things you buy most and you can buy in different sizes. Need K-cups for your morning coffee? Amazon has a wide range of brands and flavors in a variety of sizes from 6-packs to 24-packs. If you’re a member of Prime you can get free shipping on those items as well. There is that annual fee of $99, but compare that to the shipping costs you’ll be charged for each order and it may behoove you to join. It all depends on how much you buy from Amazon, but at these prices, you may find yourself going there more often. When you need to book travel, you go to Expedia or Kayak to find the best prices on airfare, hotels, and rental cars. Well, what if there were such a thing for buying all of your household essentials? Turns out there is with MySupermarket, a one-stop website that compares the best prices on just about everything from groceries to dry goods and tells you where to buy those products. 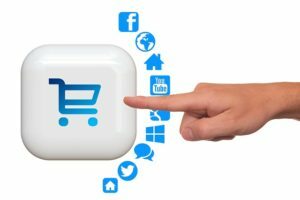 The site incorporates the prices from major online retailers from Amazon to Target, even stores like Walgreens, Costco, and other specialized online portals like Drugstore.com and the like. You just type in the item you’re looking for, let’s say dog food, and MySupermarket gives you a range of prices that are available on that item. The site will even tell you if it makes more sense to buy a certain size of an item so you can get more product for less money. Best of all perhaps, MySupermarket will also cover your shipping costs in some instances. You’ve seen the commercials all over television. Credit cards that reward consumers for spending money by giving you cash back on qualifying purchases. Every bank seems to offer one these days and the big credit card companies are making a real push to make their cards stand out above the others in what is becoming a fully saturated market. 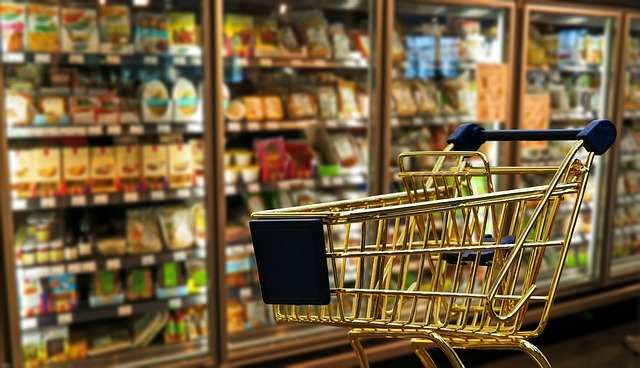 As for those qualifying purchases, you can usually earn cash back on things like gas and eating out at restaurants, but the most common among these rewards programs is supermarket purchases. Nearly every card that has a cash back component offers anywhere from 1% to 5% back on the things you buy at the supermarket. When you need to buy those household essentials it helps to have the right card in your wallet. Hit up the supermarket, load up your cart, use those coupons, and when you run your card through the reader, you know you’ll be getting a small percentage of what you spend put back into your account. All you did was apply for the right credit card, it’s that simple! Many grocery and department stores set discounts on specific items at certain days of the month. 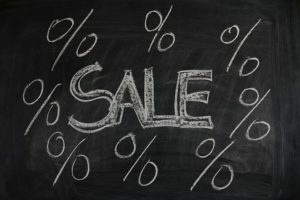 Knowing when those items are going to go on sale and increase in price can go a long way in helping you save some extra dough on the things you need the most. For example, if you’re looking for a good deal on toilet paper, hit up your supermarket chain around the 1st and the 15th month to get the lowest prices on that, in addition to paper towels and tissues. When you do find a sale price on an item, look closely at the tag on the shelf. Stores will indicate how long the item will stay on sale so you can go back and get more of that item before the price rises. You can also tell when Target is going to change their prices by looking at the last number on the tag. If it ends in a “4”, that’s the lowest it’s going to get, if it ends in an “8”, the price will drop even more. These little secrets can help you get even cheaper prices on those household items. What you buy isn’t always as important as what form you buy it on. For example, if you need laundry detergent you have some options. There’s the liquid detergent that we’ve been using for decades or you can now find the easy to use “pods”, with the detergent, even softener, and other additional components all packaged in a tiny, convenient plastic covered pod. Just toss one into the drum with your clothing and you’re ready to go. In most cases, those pods are going to be more expensive than the bottle of liquid detergent that was working out just fine for you all these years. It costs more to create and package those pods, so naturally the cost is going to be passed on to the consumer. Don’t pay for it if you don’t need to; just stick with the cheaper format of the household item you need. You’ll have this choice with any number of products. Be smart about what you buy and which version is going to be costlier. The major holidays are a great time to save some money, especially those where a three-day weekend is involved or family and friends gather together to eat, drink, and watch football or holiday movies. The major department and supermarket chains typically slash their prices on the most common household essentials because they know consumers are going to need those things around the holidays. Paper towels, trash bags, SOLO cups; these are just a few of the items that are often reduced as they will be needed the most over the holiday. Memorial Day and the Fourth of July are when the stores have the outdoor items marked down including products like charcoal. paper plates, and of course condiments and hot dog and burger buns. Christmas and Thanksgiving usually have a wider array of markdowns because, well, those are the big ones with the most in-store traffic. You’re finding all of these great deals, learning helpful secrets about where to look and how to read clearance tags, tracking down generic versions of products. You have become a savings machine. However, while this list is full of things you should do, here’s a don’t to keep in mind – don’t buy what you don’t need. 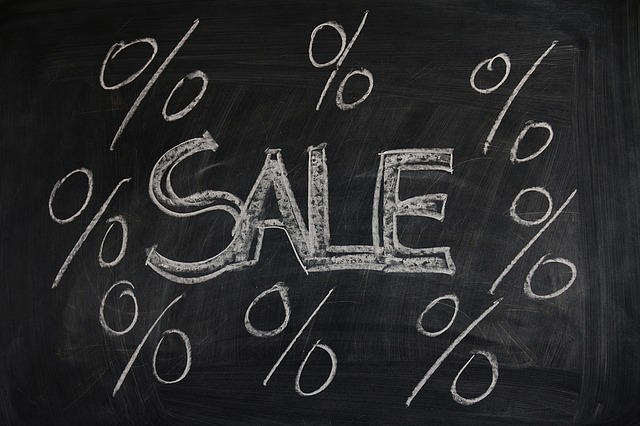 Just because you found a super-size markdown of 75% on an item doesn’t mean you have to buy it. It’s only a great deal if it’s an item you actually plan on using. If it’s going to sit in your pantry unused and then expire well, you didn’t actually save money – you wasted it. Don’t go crazy; just stick to the products and items you use the most. Unless you come across something else that you’ve been curious about trying or have every intention of consuming in a reasonable amount of time, don’t buy that item only because it’s on a clearance rack or they’re practically giving it away for free. If the store has so much inventory of that product hanging around, chances are it’s not very good since no one else has wanted to buy it. Saving money on your everyday household essentials is much easier than you think. Sure, it’ll take a little extra work on your part, but really, anything worth doing takes at least some amount of effort. With rising prices at the supermarket and the department stores these days, it only makes sense to put in that time to keep that extra money in your pocket. How much you keep is really all up to you.